after a recent meditation class, i spontaneously (LOVE when this happens!) headed to a nearby starbucks to sip green tea, savor a yummy croissant, pen reflections in my idea book, and read from my iphone kindle app fireside. yes, they have a fireplace at the one near tenleytown metro, dc readers! 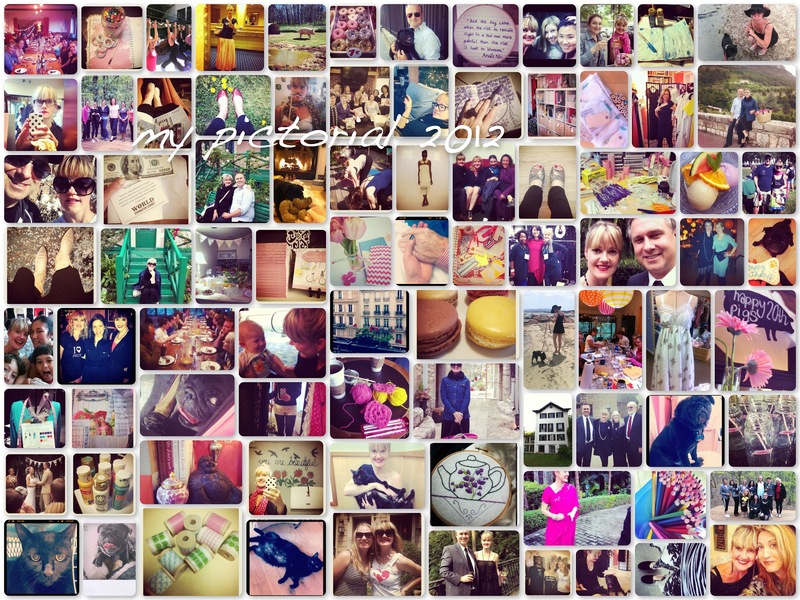 while there, i jotted down a smattering of 2012 highlights (image below) along with 2013 dreams (to be shared later). highlights range from final days with gramma to hosting pigs' 20th anniversary fete to tranquil space turning 13 to celebrating my 39th in paris and many, many moments in between. 2012 has been a year of transition, deep loss, and creative exploration. 1. set the stage. grab a cuppa tea, turn on inspiring tunes, and gather your journal plus device containing 2012 pictures. head to a cafe or try this in the comfort of your home. 2. note highlights from this year into your journal - travel, experiences, outfits, good reads, love notes, gatherings, do-gooding, loss, gratitude, self-care, transitions, aha moments, etc. 3. pull pictures from your device (moi = iphoto on my macbook) into an app such as collage creator and, voilà, you have a pictorial look at 2012. 4. pen dreams for 2013. review and break your dreams down into overall themes such as mindfulness, simplicity, tranquility, creativity, etc. outline said themes into your planner as a reminder to encourage your daily to day existence to match them. 5. dream flair. consider penning dreams onto notecards and inserting them into your planner or clip them to a clothespin and hang them from a ribbon next to your work space. for a gentle reminder on aligning actions and dreams, enjoy today's post by the minimalists on priorities. here's a peek at my process in 2011.
former tranquility du jour podcast interviewee and blogger susannah conway has put together a thoughtful booklet called unraveling the year ahead that may assist you further reflection.